We've built a better way for your guests to pay. By replacing the paper bill with a digital one. Payment at the table, it's simple really, with three components. Installed with the TableYETi app and nothing else. You’ve handcrafted your restaurants aesthetic, and we wanted a product and a platform that could match. We need a product that could deliver all-day battery life. iPad Mini plus iOS delivered on this. Your guests’ card and personal details are important to us, the iOS platform is the most secure in the industry. If it's good enough for PayPal, it's good enough for us. Simply put, your restaurant is a harsh environment for our devices. The Miura M010 can withstand. Mastercard, American Express and Visa debit and credit cards accepted. Plus Apple Pay and G Pay from Google. 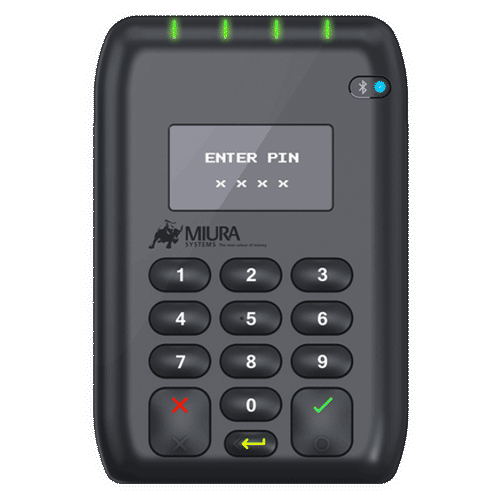 Suitable for processing 300+ payments in-between charges, but not that you’ll need to worry as it’s wirelessly charged when not in use. We've developed a durable case that your guests will love. All major credit and debit cards are accepted, along with a simple way to account for cash payments. Guests can split their bill in just a few taps, you’ll find that groups come back. You’ll be saving paper and accumulating data, data which can be used to reach guests again. We’ve had staff member upon staff member tell us how much they love using TableYETi. Increasing your revenue per table, without adding additional staffing costs. Happier staff, more data, bigger tables, turned quicker, equals a substantial increase in profits. Your customers will have to signal for the bill only once. Then they can pay at their leisure and leave the table. No more will your guests leave frustrated after an otherwise great experience. Empower guests as they’re welcome to leave anonymous feedback during he payment process. 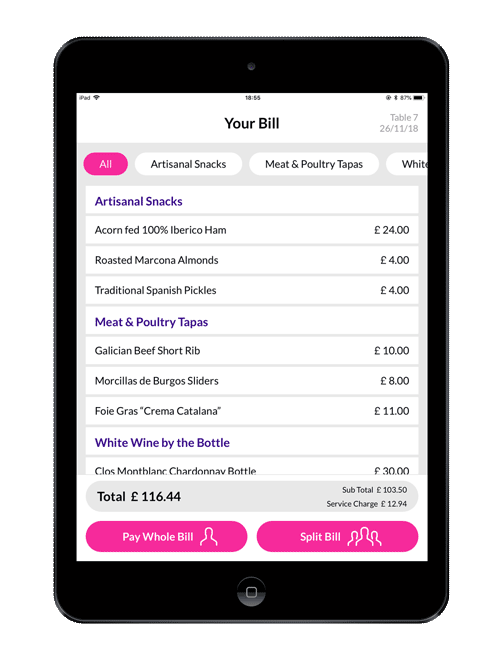 It's the digital bill that opens the door to restaurant intelligence and review management. If you’re to measure one statistic for your restaurant, make it NPS. You need to know if a team member is underperforming so you can train better. Quantitate data on the quality of individual products is seriously powerful. 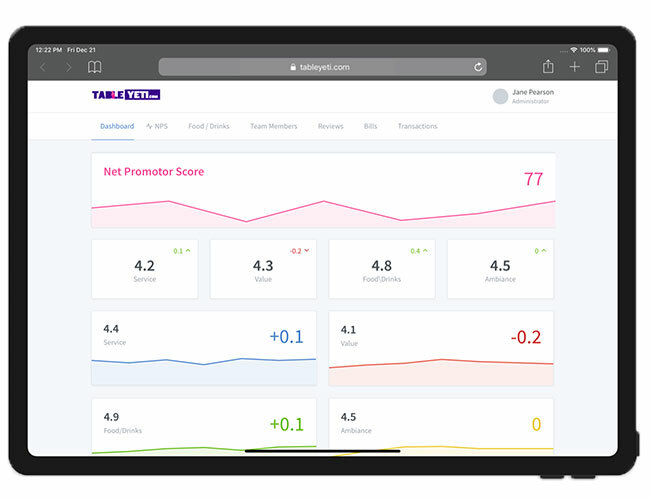 TableYETi collects email address, which allows you to ask for online reviews. 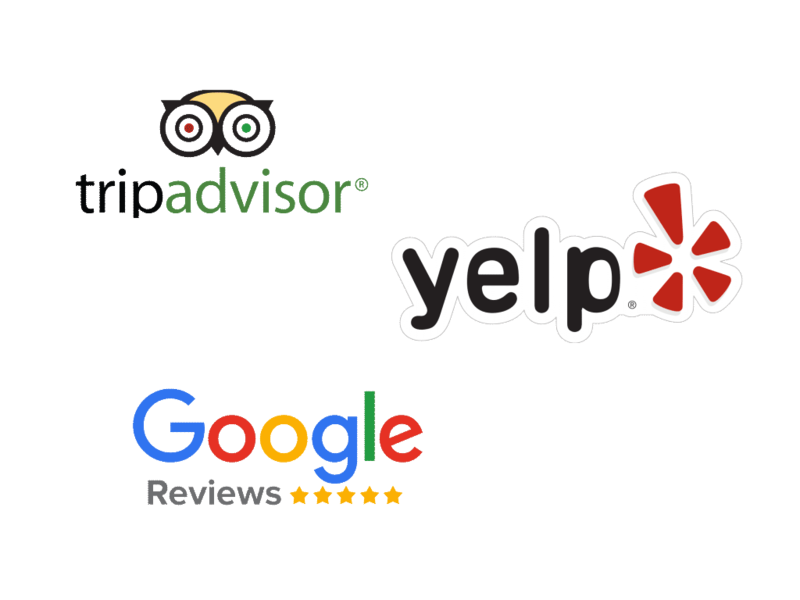 Restaurant intelligence guarantees your reviews will be of the highest order. Drop your email below and a team member will be right with you. All Rights Reserved 2018. TableYeti is a registered trademark.